Create custom tools, apps, integrations and more with Kustomer’s developer tools. Kustomer was designed with developers in mind. Build effortlessly with access to a range of developer tools, guides and documentation. Unlike legacy CRM platforms, Kustomer is open and standards-based, and doesn’t handcuff your team with proprietary developer tools, languages, and environments. Build apps and integrations your own way, for your business needs. Yes, together. Because together is better. We don’t want to hold any company back from delivering exceptional customer experiences. Plus, the last thing we want to do is handcuff your data or prevent you from integrating with your favorite apps. 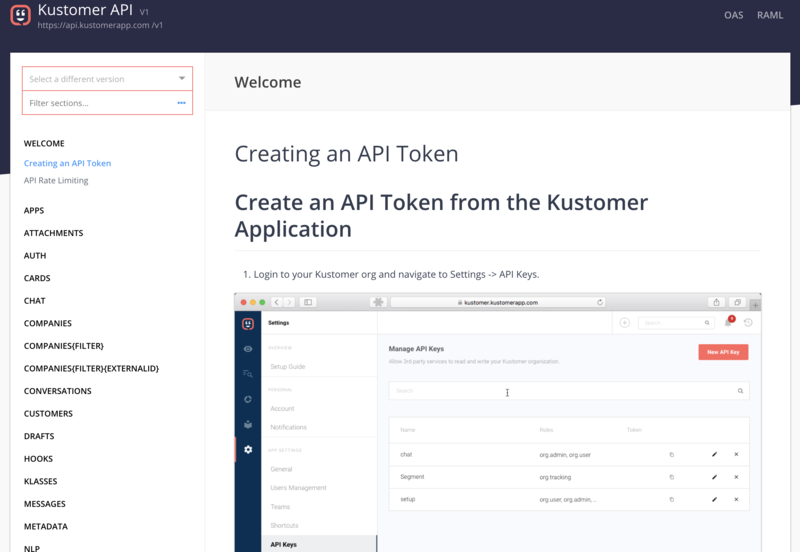 Extend the power of your Kustomer platform with easy-to-implement APIs and SDKs. 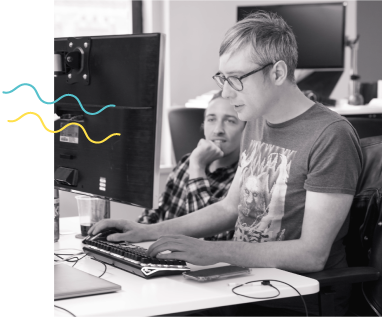 Developers can build effortlessly and leverage a full suite of platform capabilities. Create the best end-to-end customer journeys by customizing Kustomer to fit your unique business needs. Connect your home-grown or external app to Kustomer seamlessly to leverage new capabilities and data to help create a better customer experience. There’s a world of amazing apps and solutions out there to help you deliver on your customer focus promise. We don’t want to hold you back. Kustomer was built to store third-party information as part of its own data model, and to integrate with other platforms and process customer information as custom objects. So not only can you view information, anyone can build integrations with Kustomer that allow you to send, receive, update and/or delete any type of information. 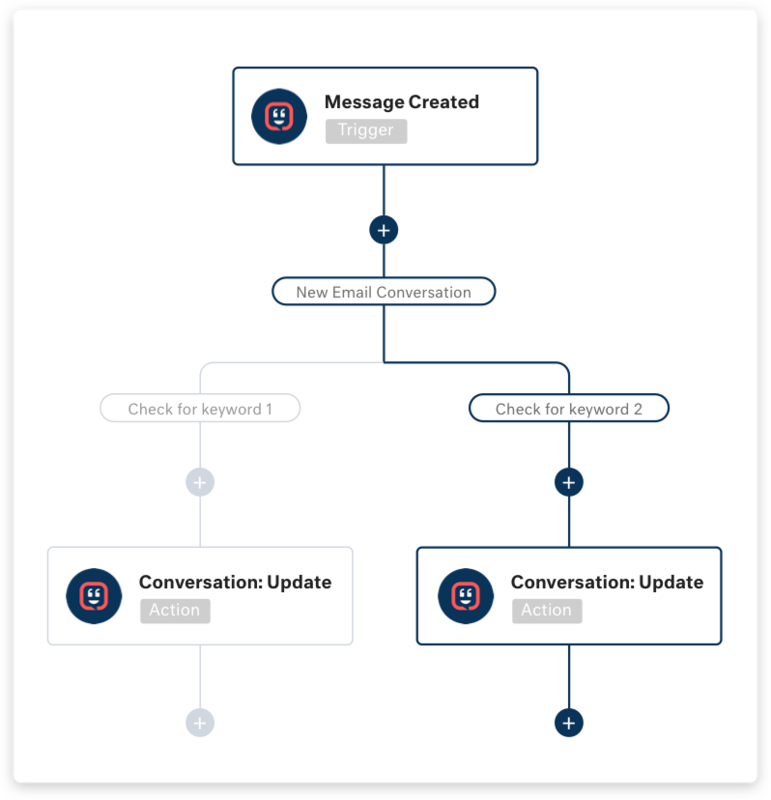 The Kustomer timeline view provides a seamless way to integrate transactional information from our own systems in a way that feels really natural and is at the right place for agents. Build exactly what you need with flexible APIs and webhooks. Support for Android and iOS. Designed to enable customers to chat with your team from within your mobile app. It supports both logged in and anonymous chats. Fully customizable. Get started quickly with docs, SDKs on our Developers center. 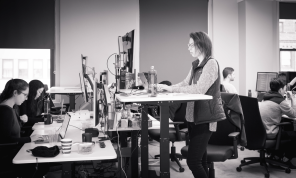 Our teams are standing by to help you make the most of the Kustomer platform. Go ahead, connect with us. Access tutorials, guides and articles.